Today after a failed attempt at an Aigis photo shoot I decided instead to do one for a certain Biri Biri obsessed teleporter. 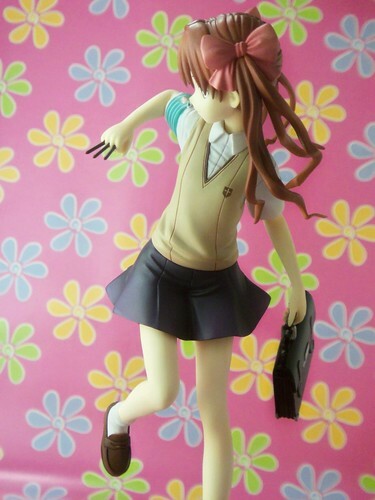 I didn't want to do a photo shoot until I got Misaka but when she went on sale she was sold out before I could say Onee-sama. First things first, I shall introduce Kuroko to those that haven't watched/read To Aru Majutsu no Index and it's spin off To Aru Kagaku no Railgun. Kuroko is an esper resident of Academy City, a place where people with psychic abilities come to learn how to improve and control them. Espers are ranked from levels 1 to 5 with Kuroko ranking at level 4. She is also part of the student public moral committee known as Judgement whose job is to pretty much catch other students misusing their powers. 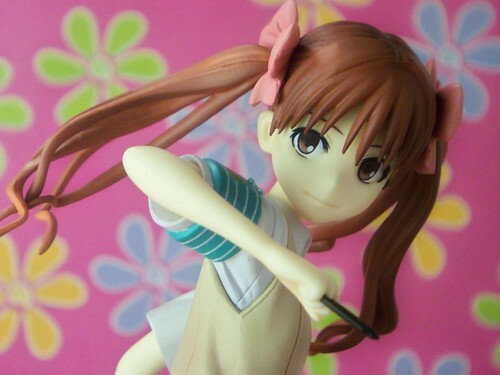 Kuroko was released by Kotobukiya during this past Spring. 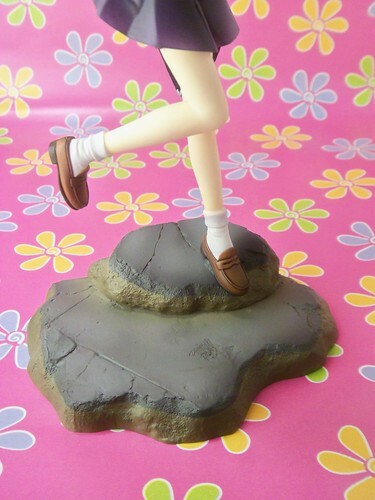 She is a 1/8 scaled PVC figure and retailed around 6000 yen. I got mine from Hobby Search for 5700 yen. What originally attracted me to this figure was the dynamic pose. I hadn't seen that many figures with poses so full of movement back then. 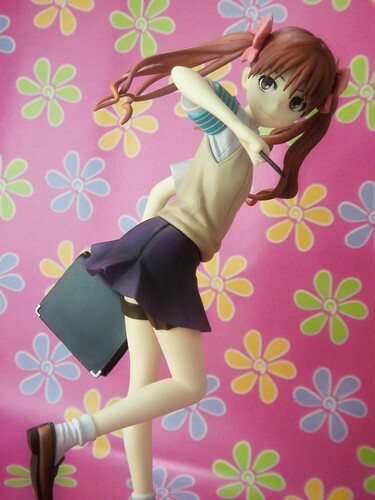 After reading the To Aru Kagaku no Railgun manga, and having seen her character expanded more I became a fan. 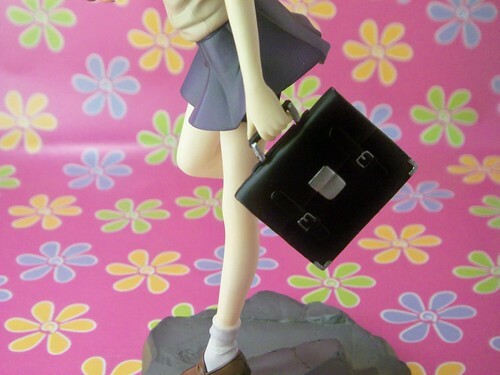 With that I new I had to get my hands on her along with Biri Biri. I'm quite pleased with this figure, I had heard some criticism for Kotobukiya releases but Kuroko seemed well made to me. I'm content with the painting and amount of details, details such as her Judgement armband and her weapons. 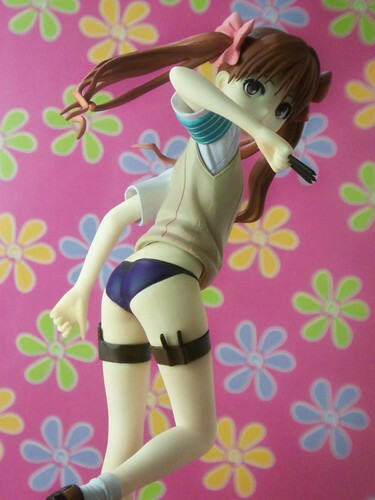 Another detail I like that was included as To Aru Kagaku no Railgun viewers know are Kuroko's fancy pantsu and her weapon hostlers. 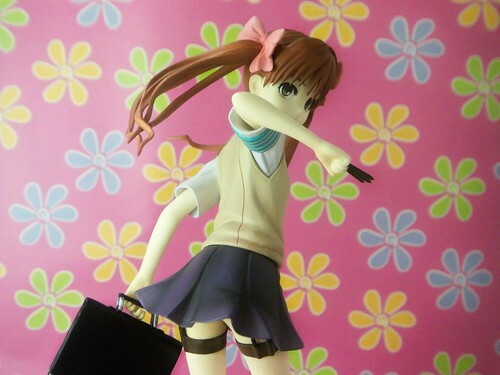 The school bag has sufficient amount of detail and is removable from Kuroko's hand. I think the base is pretty cool, instead of it just being some circle or square it's this neat diorama type base. 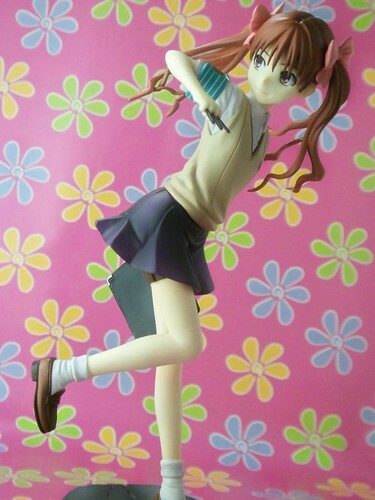 Kuroko is attached to the base with a nice long peg on her left leg. So far I have seen no indication of leaning in the time I have had her in display. 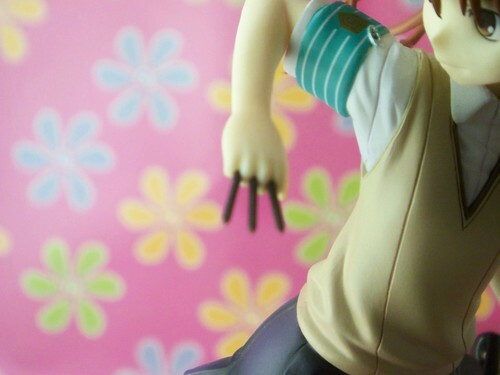 The skirt is removable allowing an easy look at Kuroko's fancy pantsu. She is so far my only scaled figure that has some sort of cast off. Over all I'm pleased with this figure, I love the dynamic pose, the quality is up to par, and I believe this to be an accurate representation of the character. The only thing left is get Biri Biri to complete the set.